Iron Co, Inc. is the company for you. We have been in business for over 40 years. 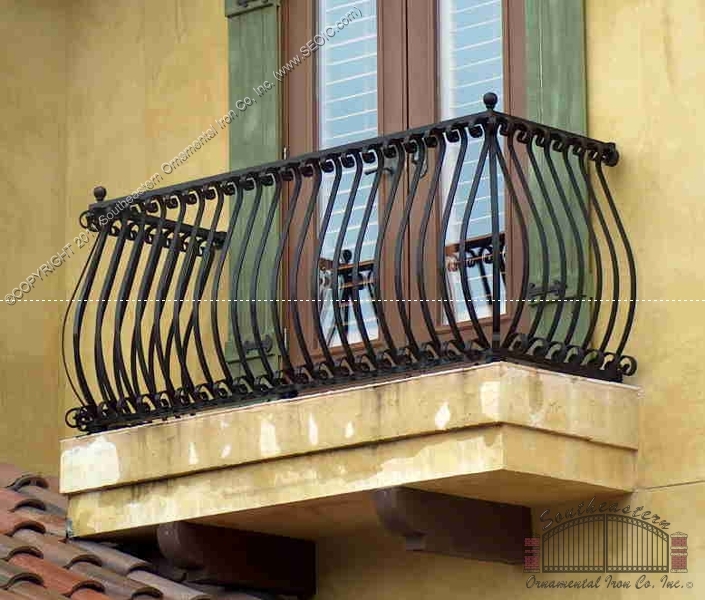 We produce Aluminum Balcony Railings, Deck Railing, Wrought Iron Stair rails, False Balcony Railing, Stainless Steel Cable Railing, Juliet Balconies, iron deck Railing, and much more. A fasle balcony rail is a railing that covers a window or doors which open for viewing but have no deck or balcony to walk out on. False balconies are often refferred to as Faux Balcony Rails or French Balcony Rails. A false balcony rail is a railing that covers a window or doors which open for viewing but have no deck or balcony to walk out on. 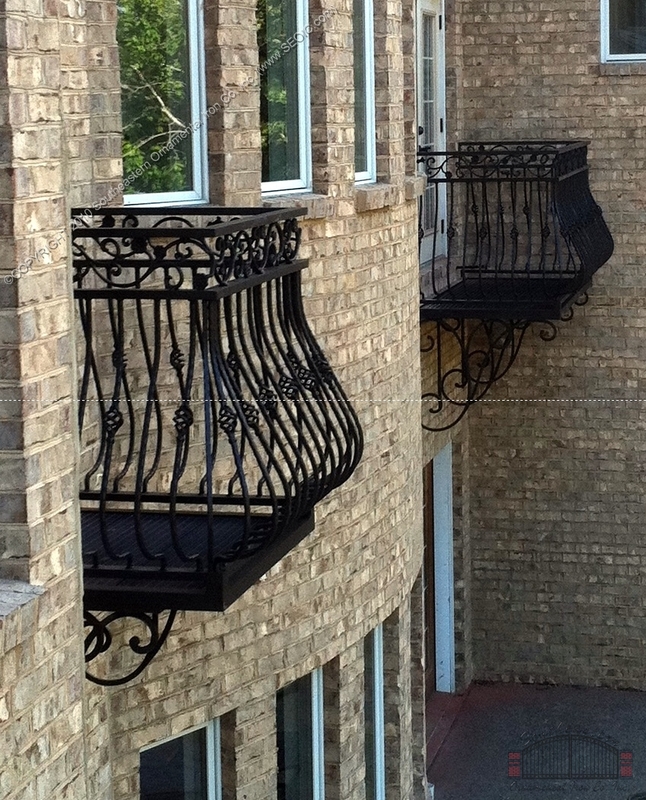 False balconies are often referred to as Juliet Balcony Rails, Faux Balcony Rails, or French Balcony Rails. True Balcony Rails are self supporting structures which are attached to a building and replace the need for a balcony to be built as part of a building by providing the flooring and railing of a balcony in one mountable structure. This makes them unique since they can be placed on an already existing building which does not have a balcony already in place. 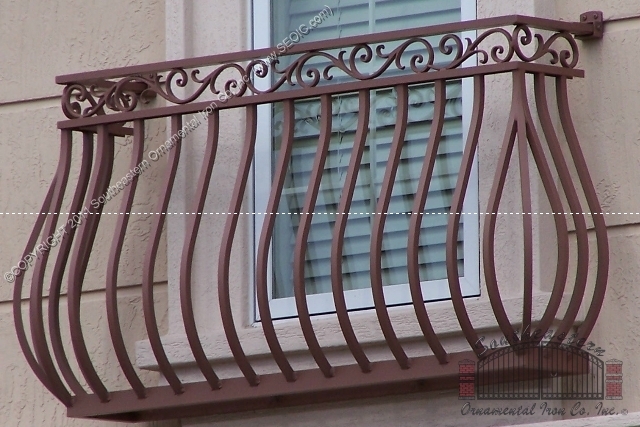 Also this can save substantial amounts of money since a balcony to place railing upon does not have to be built and there is no risk for leaks as is the tendency of balconies built as part of a building. These are railing that are placed on existing deck or balcony structure to add safety as well as a touch of class to any building. 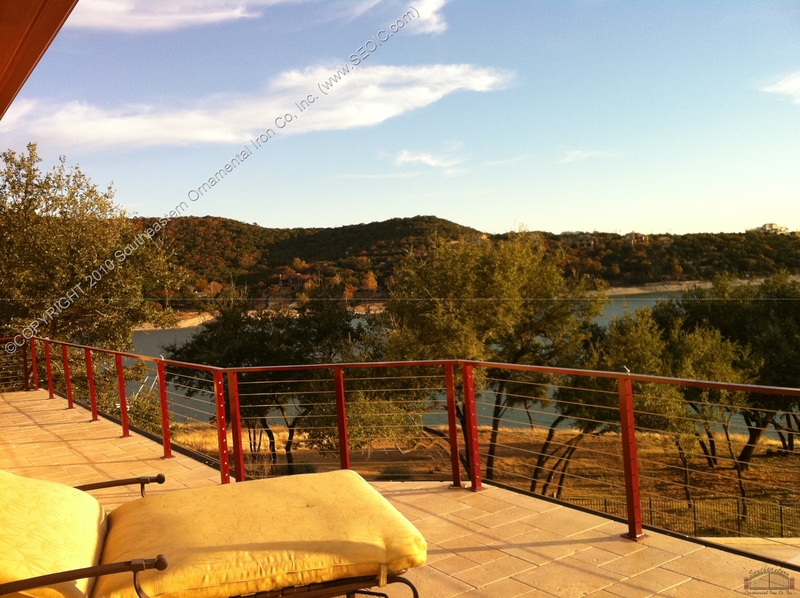 Cable railing utilizes horizontal cable to allow for an open and unobstructed view. They look excellent in industrial style building but due to their non-obstructive design are excellent for building with views such as ocean front or lake front properties. 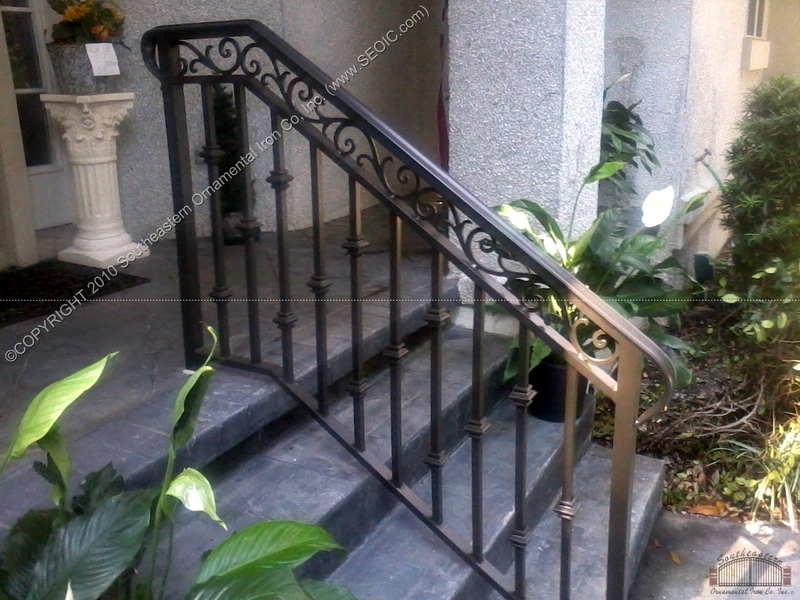 These railings are for steps such as those leading up to a front porch or a door. Step and Porch railing can greatly increase the appearance of the front entry of a home or business as well as provide the needed accessibility for the elderly. 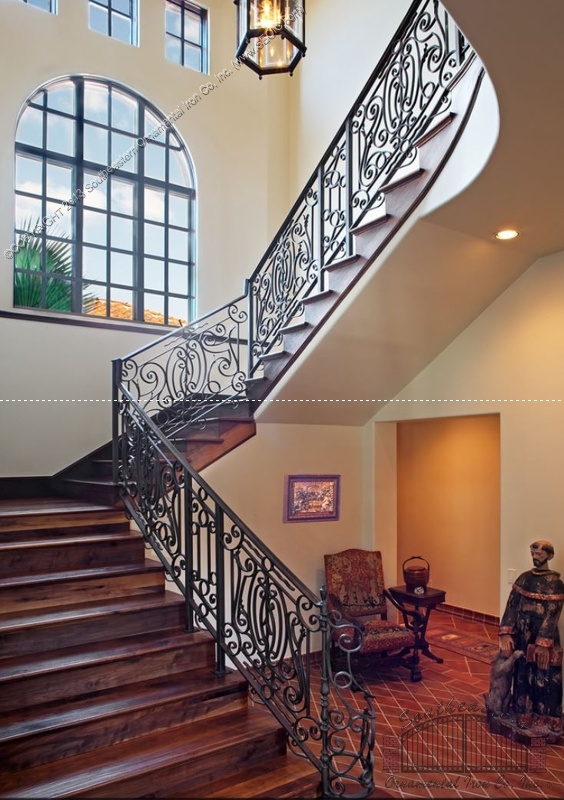 We have many railing designs available so you can find the specific design for your project. You may also provide your own design or we will be happy to assist you with a unique design. All of our products are made in our facility located in Jacksonville, FL USA. We build all of our products so that installation is as simple as it can be for our customers. Home owners with little experience with installation are able to install our products with ease. This is a major benefit of our product since it comes in completely assembled railing section which simply must be mounted in place versus a full assembly project where the rail is built on site. We believe that honesty and integrity is the only way to operate a business and that is why we have a great reputation nation wide. You may visit our reference page to see some our our customers reviews. We ship direct and will even travel to install if possible. We provide detailed shop drawings of you products for your approval so that you are 100 percent satisfied with the design and specifications. Please visit our web site if you are in need of any kind of ornamental metal work. We look forward to working with you on your next project! 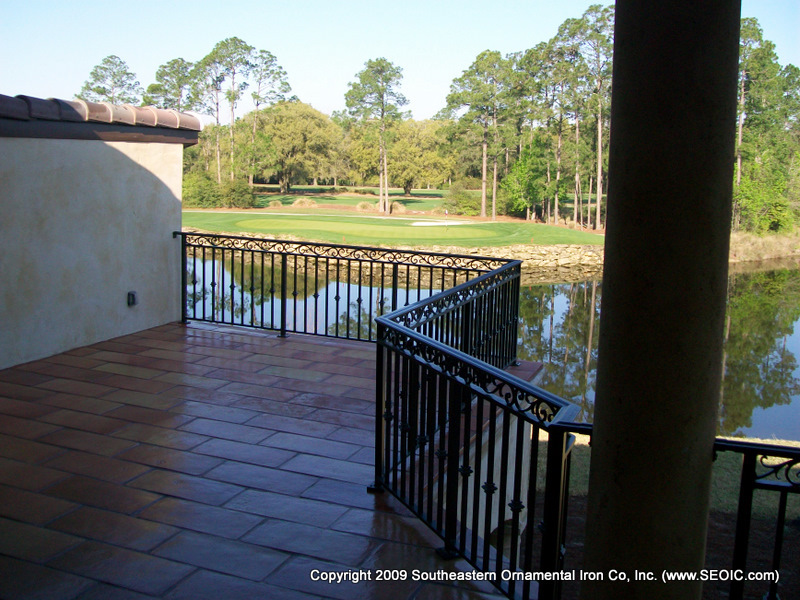 Copyright © 2014 Southeastern Ornamental Iron Co, Inc. - All rights reserved. Reproduction in whole or in part of this web site without the written permission of Southeastern Ornamental Iron Co, Inc. is prohibited.